Ruppert crews undergo weekly inspections as they leave the yard to ensure their trucks and trailers are in good working order and the driver and crew are prepared for a safe workday. Photo: Ruppert Landscape. As dawn breaks and your company vehicles pull out of the driveway, consider the person in the driver’s seat—hopefully buckled in—as a teenager using the family car for the first time. While lecturing on safe driving may be a daily task for landscape business owners, the Network of Employers for Traffic Safety (NETS) is turning the topic into a week-long campaign Oct. 7 to 11 for Drive Safely Work Week (DSWW). This year’s campaign, tagged “Gear up for safe driving—Mind, Body, Vehicle,” centers on the importance of vehicle and personnel health—mental and physical. Employers may download a toolkit from the organization’s website, which is available in English and Spanish, that offers web-based resources on safe driving in the form of tip sheets and driving facts and stats. Landscape companies may download free materials from trafficsafety.org/drivesafelyworkweek to educate their employees. In preparation for DSWW, Landscape Management kicked off the safe driving conversation with Green Industry professionals about their methods for devising and instilling safe driving practices in crew members. 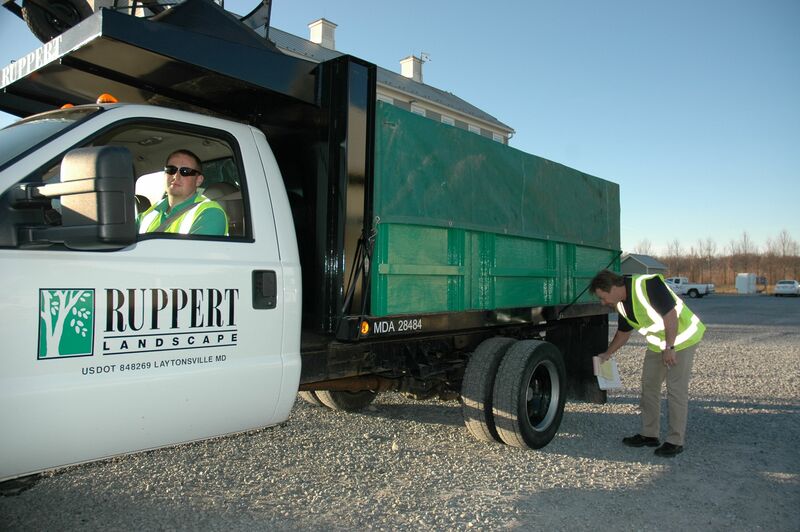 Vetting employees before designating a driver is crucial in preventing unsafe driving, landscape professionals said. Prevention should extend beyond hiring processes, too, according to DSWW materials. Do so by being attentive to the health of vehicles and employees. Use recommended maintenance schedules to maintain vehicles and conduct safety checks on the vehicles before hitting the road. Require drivers to receive regular vision screenings, stay fueled with adequate food and water during the day and get a good night’s sleep. “If you’ve got a vehicle that’s not running properly, it increases your risk on the road. It’s the same for any driver who’s not 100 percent,” said Dave Sanders, safety director for Ruppert Landscape in Laytonsville, Md. 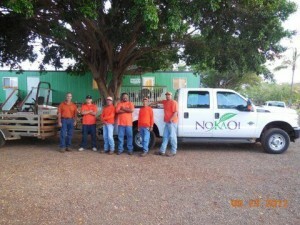 No Ka Oi Landscape Services relies on vehicle decals to hold drivers accountable for any unsafe driving. Photo: Abby Santos. Ruppert monitors vehicle and employee performance by the use of DriveCams, video cameras inside of company vehicles. Due to those devices, Sanders said he’s able to catch and address issues before they worsen. While Abby Santos, owner of No Ka Oi Landscape Services in Hanapepe, Hawaii, doesn’t have an extra set of eyes inside her vehicles, she relies on the public to police her drivers from the outside—the company’s phone number and name are largely printed on her trucks. ValleyCrest uses a similar method with its “How’s My Driving” program, posting hotline decals on its vehicles for the public to report complaints and, occasionally, compliments. “It’s one of the most effective programs we have implemented and the desired driving behavioral changes are evident in the reduction of incidents throughout the company,” Scully said. To that end, drivers also should be held accountable for driving well. Incentivizing roadway safety has proven useful for some companies. ValleyCrest does an annual truck giveaway, awarding its safest employees with a new truck. And Ruppert annually awards the safest branch of its company with a check. Although driving issues can differ from company to company, Green Industry professionals concurred the best way to instill safe driving in employees is through repeated safety reminders.